Nonprofit organizations work to solve the worst problems in our world. They’re the most in need of high-quality design and marketing, but the least likely to be able to attain it. They can be limited by small budgets, little technical expertise, and grant restrictions. 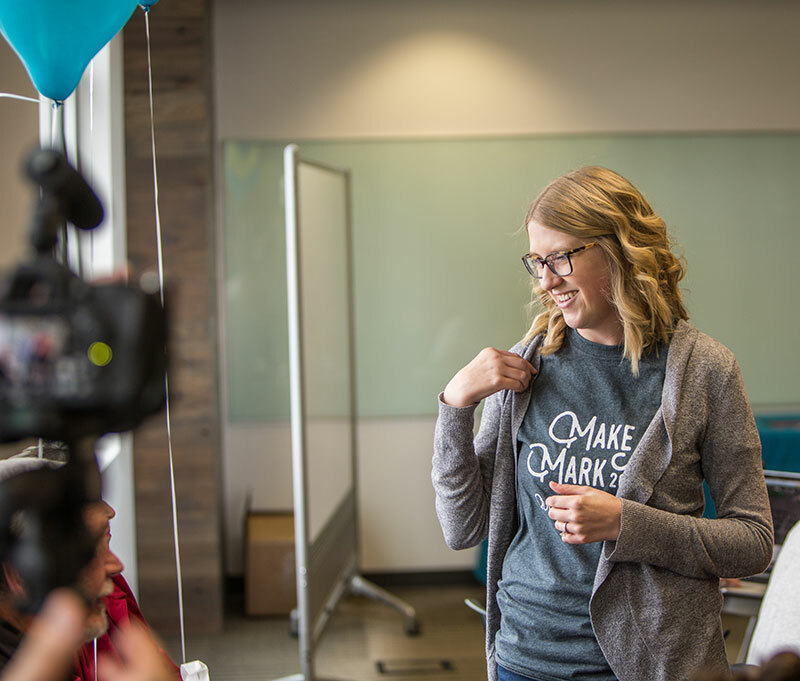 As the founder and director of Make a Mark, an organization that hosts 12-hour design and development marathons benefiting nonprofit and humanitarian causes, Sarah Obenauer has so far completed 59 projects worth over $300,000, with 150 unique volunteers. Tell us about Make a Mark and why you created it. When I was working at a nonprofit that helped reduce teen fatalities on the road, I saw the power of design for a nonprofit organization—more engagement, more grant funding, and more lives saved. But I also saw the difficulties faced by organizations that can’t afford to hire someone or pay a staff member. After several years, I started talking to other creatives and technologists. I was hearing from these people that they wanted a way to use their strengths to better the community. They could donate some time at a food drive or a marathon benefiting a cause, but they had certain skills that they could use in a more powerful way. There had to be a way to bridge the gap between these 2 worlds. 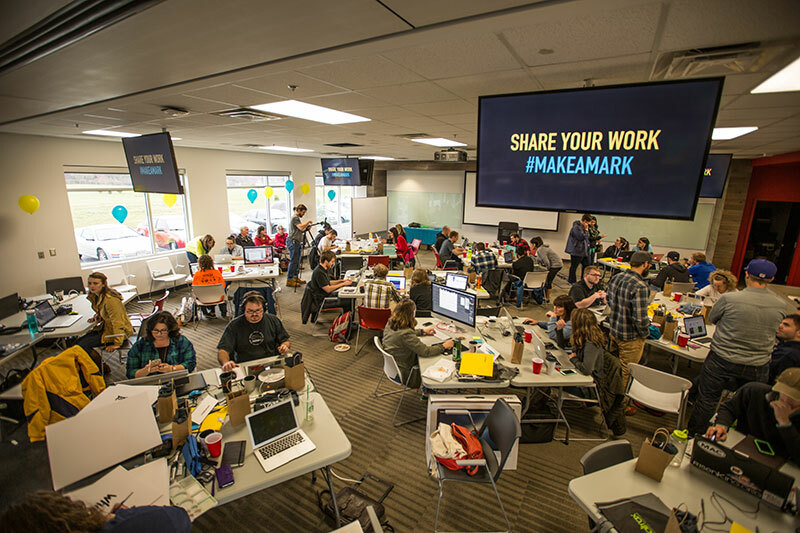 Make a Mark’s foundational event is a 12-hour design and development marathon benefiting nonprofit organizations and humanitarian causes. 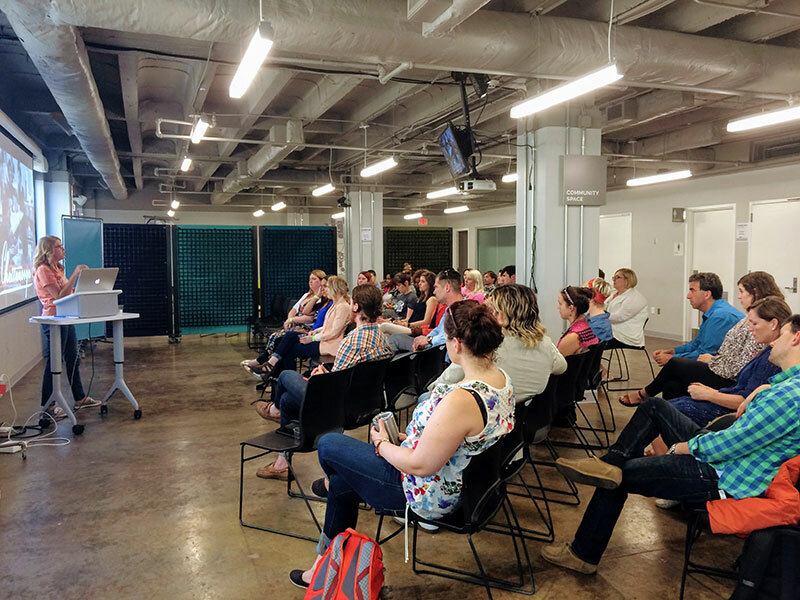 For one day, we gather teams of local creatives to work on projects for the most impactful nonprofit organizations in an area. These projects include brand refreshes, websites, print materials, social media toolkits, PSAs, and more. You’re using your skills “for good.” How can more people in the tech industry do the same? 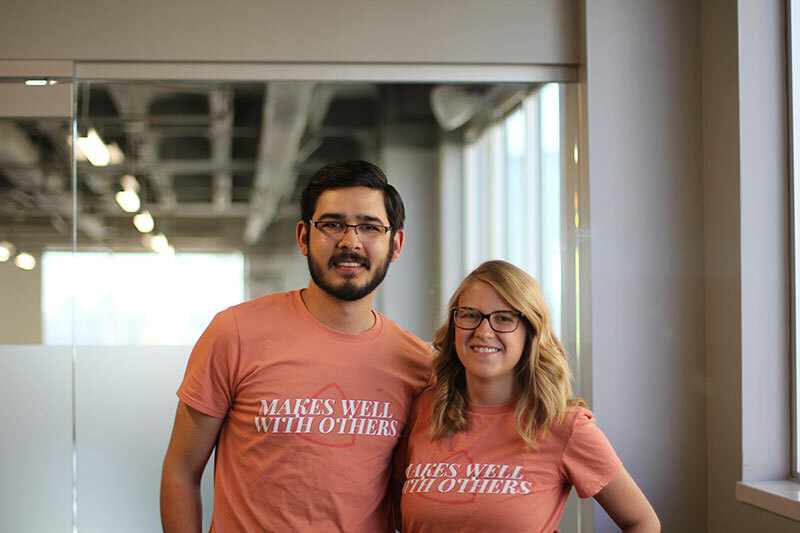 As designers, marketers, and technologists, we’re all able to serve those nonprofits that spend their days being underpaid, understaffed, and under-appreciated to do the work that saves our neighbors, our friends, and even those who go forgotten. There are many ways to do this. Make a Mark, which is now in 5 cities including NYC, Baltimore, Chattanooga, Asheville, and Roanoke – Blacksburg, is a great way to help in a controlled environment where your time is protected and your work is valued. Find a nonprofit or humanitarian cause that you believe in and volunteer your skills throughout the year by helping them build their website, rebrand their organization, or create an app for their audience. Many local nonprofit centers offer training sessions and are looking for knowledgeable educators to share their expertise. Finally, be creative and come up with a product or service that could help a local cause that’s dear to your heart. These innovative ideas are what will fuel the humanitarian sector moving forward. How can designers and developers communicate better? My husband is a developer by education, and an incredible designer, while my background is in design and marketing. We’ve been fortunate to work together on many projects and in that time have found ways to clearly communicate with one another. 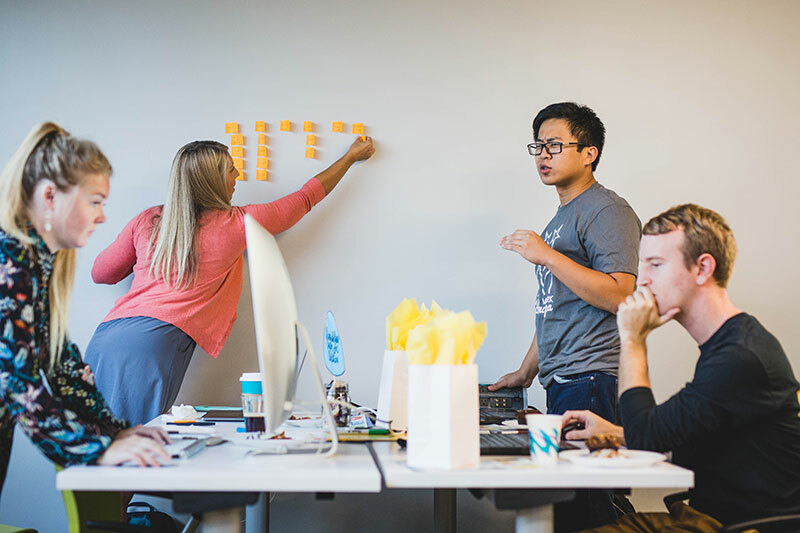 Use a tool like InVision that allows for collaboration. This creates a place for easy feedback and prototyping so both designers and developers can fully understand and agree on the aesthetic and functionality of the project. Provide clean design files and details for developers. Make sure the files are not only clean, but consistent and provide all the information necessary for a developer to execute on the vision. What do you think is one of the biggest mistakes designers make when working with developers? One of the biggest mistakes—not just between designers and developers, but in any setting where people with different specialties work together—is a lack of understanding of the realities of the job. This is why, when people are working closely together, it’s important to be collaborative and communicative. 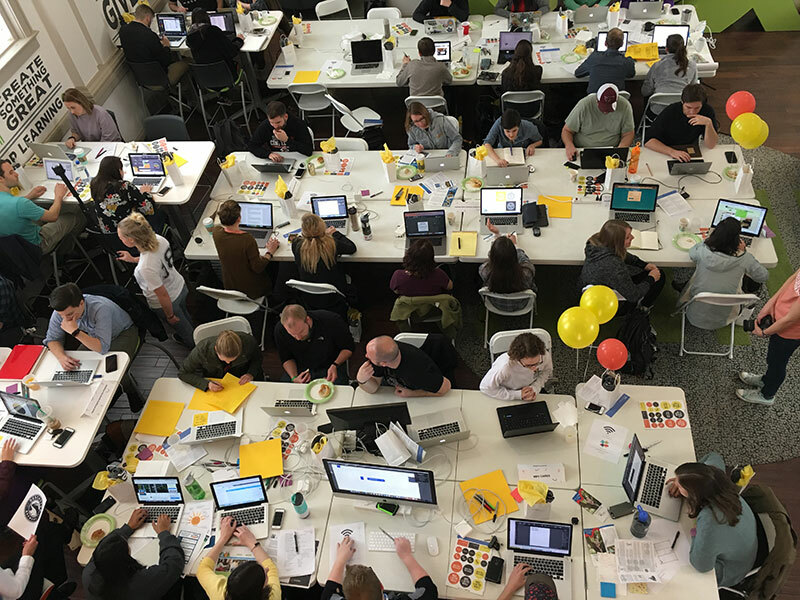 For designers and developers, it might be a matter of sitting down with one another on a regular basis to understand the work, or trying out the tools and technology yourself. Without this understanding of the other, your expectations will never align. Can you share any thoughts on how marketers can partner with designers? I have a background in both marketing and design, and I’ve worked with individuals with both specialities at different points. There can be a lack of understanding of the differences between marketing and design, even for those in the field. Marketers often think that if they can edit an Illustrator file, they’re a designer, and designers often don’t see the value in marketing strategy. But when an effective marketer and talented designer come together, it can be powerful. It all comes back to communication and collaboration. Marketers and designers should start working together early on a project to determine deadlines, goals, objectives, and the audience. Marketers should provide clear and timely feedback to designers , while still allowing them the freedom to use their skills and talents to produce something great. Using your favorite typeface, what’s your favorite word? Do you have any creative rituals that help you get into focus mode? Before a project, I visualize everything with sticky notes on a wall and a physical mood board at the ready. When I start a project, I might listen to some pump-up music to get in the zone. Related: What’s your creative ritual? Something my husband and I started doing recently is visiting local antique stores to look for inspiration on a project. This might something as simple as a font or color scheme or pattern. This has been a lot of fun, and something physically immersive in a very digital world. What advice do you have for new designers? The best way to grow as a designer is to explore new tools and techniques, and to not be afraid to play with different styles. By exploring new colors, fonts, formats, and more, you’re stretching your capabilities and honing in on who you are as a designer. Whether it’s other designers, developers, marketers, or simply peers. Collaboration is another way to grow, build empathy, and learn the value of compromise in a professional setting. It also creates an opportunity for increased efficiency and innovation from different viewpoints. Early in my design career I was using cumbersome tools that made designing less pleasant and less efficient. I was afraid to switch because then I would have to learn a new toolset, but it was completely worth it and I wish I had switched sooner. Understand who you’re designing for. This doesn’t just mean your client, but also their audience. Get to know your client, their needs, and who their audience is. When I work with clients or nonprofits, I make sure to define not just the their brand identity and personality, but the audience personas for those they are targeting. Fight for the decisions you believe in. The customer is always right, right? You certainly want your clients to walk away with a product they’re happy with, but they’re relying on you for your expertise. Don’t be afraid to stick up for the decisions that you believe will be most beneficial for your client long term. I’ve been surprised how often clients and nonprofits are receptive to this feedback. Don’t underestimate the power of the physical. We live in an increasingly digital world, but I love taking a step back and being tactile with design. Like most designers, I love sketching my initial concepts out on paper before switching to a digital tool. I also organize my thoughts with sticky notes on a wall beside my desk and a bare bones mood board with paint samples and interesting visuals. I love to collect business cards, print materials, flyers, packaging, and any other designed goods that speak to me and could offer inspiration.